Please plan time for parking and traffic in Mt Vernon. We will not be able to seat late arrivals for the performance until Intermission. Please plan to arrive at the theatre at least 30 minutes prior to curtain, and allow time to find parking in Mt Vernon. Be ONE of ONE HUNDRED Spotlighters Sustaining Partners. 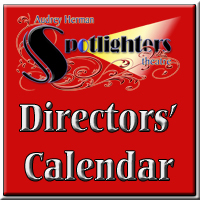 Make a small monthly donation to support the exciting work of Spotlighters. SOMETHING NEW!!! FUN NIGHT FRIDAY! Take your broken heart, ...and make it into ART! 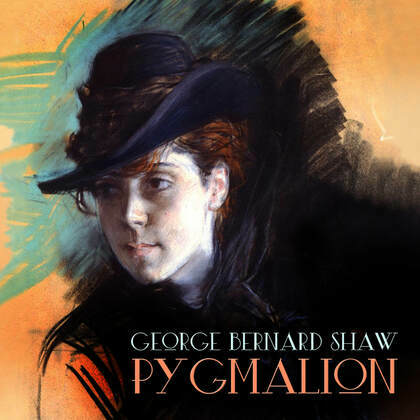 ​The sparkling wit and biting humor of Shaw's script has made Pygmalion into a classic which has endured for over a century, still speaking to us about the false constructs of social class and wowing us with a portrayal of a strong woman who overcomes the conventions of her time. Eliza Doolittle, an intelligent, but poor woman who sells flowers . . . crosses paths with Henry Higgins, a boorish, insensitive, but brilliant linguist who studies phonetics. He realizes we are all equal under the skin and that social class is a matter of skilled behavior. What starts as a phonetic experiment becomes a social experiment. As these two headstrong people spar, we follow Eliza through to her emotional and financial independence, as Eliza herself realizes she was already a lady. Talk Back: Sun, Mar 3, 2019 Post Show discussion with cast & director following the matinee performance. Click on the TICKET to order your tickets now!